While it may not seem like a construction risk mitigation company would focus on project management techniques, the truth is much of what we do to mitigate risk heavily involves project management skills and processes. This is because project management has tried and true techniques that help keep projects within their timelines, make sure projects are completed as promised, and that the project is appropriately tracked. 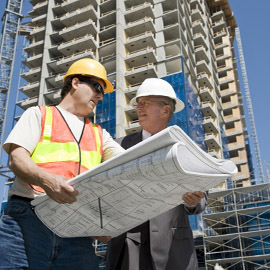 Granite Companies is here to provide all construction loans with a variety of project management services and fund administration in order to help your construction project reach completion. To understand how we work a little better, check out the following project management tips. A major component of any large project is to fully understand the scope as well as every last little detail that will go into it. This can sometimes be difficult as a project may not be fully formed when you work on the planning process. 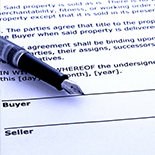 At Granite Companies, we typically have an excellent understanding of the project because of the details needed to acquire a construction loan. However, our underwriting processes help to identify areas where detail may be lacking or areas that could provide unnecessary risk to the lender. Communication is a key component in just about anything in life. Working on large scale projects makes communication even more essential. Being clear and concise with information leads to a greater chance for the project to succeed. 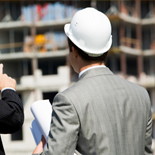 At Granite Companies, we work hard to help provide you with the skills and services in order to see your construction loan project succeed with the lowest risk possible. Check back on the blog later for more project management tips that can help keep your project on track!